Join the Friends Group as we hike along the trails at Beltzville State Park. 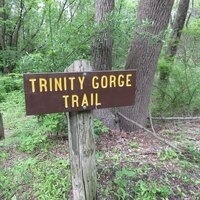 The Trinity Gorge Trail follows and old road which leads past farm fields and through both open and forested areas. Please come dressed for the weather and wear your hiking shoes! Please bring drinking water.